The Unvoiced Community: BBQ Men & Women of Goulds is sponsored in part by The Knight Foundation. The success of the project relies on people like you to make donations. With The Miami Foundation as Fiscal Sponsor, your donations are tax-deductible. Thank you for your support! This photo captures the authentic view of entering Goulds in the middle of the night. 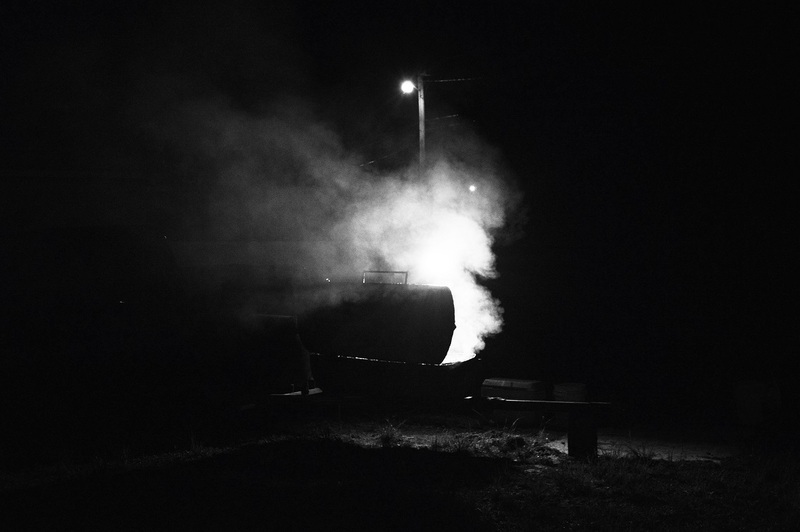 As you drive down Allapattah and 220th st, the smoke from Mr. Sam's grill combined with the industrial light fills the night sky with a curious image. The Unvoiced Community: BBQ Men & Women of Goulds, a project that intends to educate the community and encourage a higher volume of recognition in Miami by presenting a high quality photo exhibit and bbq cookout extravaganza that showcases the photography at South Miami Dade Cultural Arts Center’s Backyard Concert Lawn and Plaza, allowing guest to view the photo displays while eating a savory southern BBQ meal that will be provided by the BBQ men and women of Goulds who will be cooking on-site and accompanied by live music that reflects the sounds of the environment.